Having new Scouts means having new parents too. In fact, you may be one of those new parents yourself. That can be a little intimidating. You know there are things you should do, but you don’t totally understand everything yet. Just like most organizations, Cub Scouting has its own terminology and acronyms. Think back to your first few meetings. I was so lost! And I didn’t want to interrupt the meeting to ask what something meant. That can really make people feel uncomfortable—I know that’s how I felt! This list of of 25 terms will help parents learn the basic terms they need to know so that they won’t feel so lost. I don’t know about you, but when my kids get new badges, I have to look up where those Cub Scout patches go. Every. Single. Time. You would think that eventually I would remember, but I don’t. I’ll bet I’m not the only one! That’s why I created the Cub Scout patch placement guide for parents. Bookmark it so you can easily find it to use yourself or send to parents who ask where the badges go. Just as my older son Parker was finishing up kindergarten, some friends told us about Cub Scout day camp. We attended and were hooked! Later that summer, I was talking to another Cub Scout mom at our neighborhood swimming pool. She had two sons who were Cub Scouts. She told me this important tip for buying a Cub Scout uniform shirt. I was skeptical at first, but as my son moved through the ranks in Cub Scouts, I was so happy she did! Why are there different parts? What part do you need to fill out? Why do they need to be updated every year? Why do adults have to fill them out? Read this post to find out the answers to all of your questions! What’s this business about a “unit?” We’re in a pack! Read about why you’ll hear a pack called a unit. Makes perfect sense after you know. You’ll want to bookmark this page. It has links to all of the Cub Scout rank and adventure requirements. 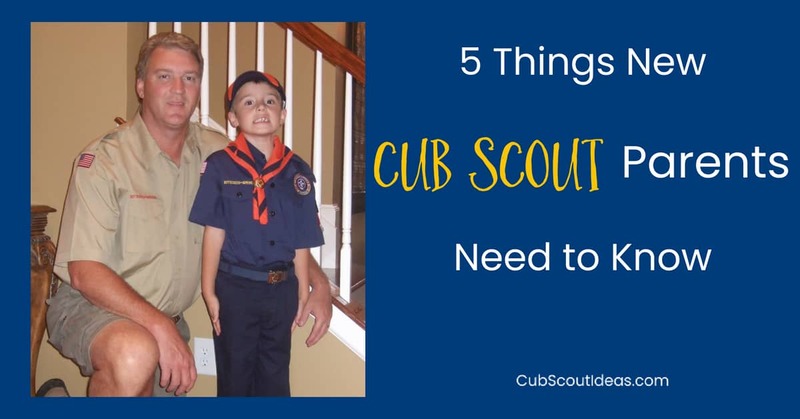 If you’re a seasoned Cub Scout parent, you probably know all of this information already. Please share the link to this post with the rookie parents in your pack. They’ll be happy you did. A bonus benefit–understanding a bit more about Cub Scouting may give new parents the confidence they need to volunteer!